Our Rosé & Peonies class brings the best of both worlds together: wine and flowers! Ring in Spring with us as wine director at The Cheese Shop of Salem, Susan Ulbrich, leads us through a delightful line-up of this season’s newest and hippest rosés. Explore how rosé is made, and learn how to taste and analyze wine, in a supportive and fun environment! 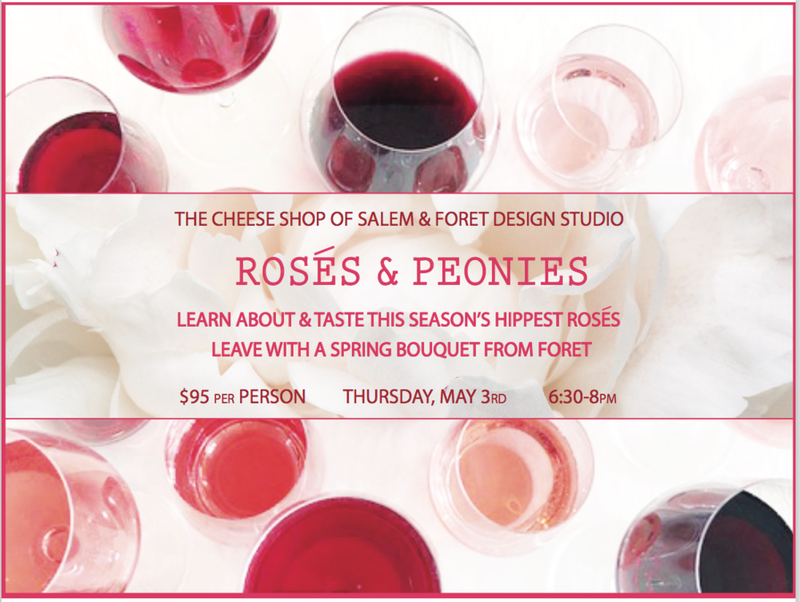 At the end of the class, leave with a keen sense of what makes rosé so special, plus enjoy a Spring floral bouquet from yours truly: Forêt Design Studio.